From Stars In Their Eyes in 2003 comes one of the best Shirley Bassey tribute act impersonators you will see. The, of course, there's the unbelievable voice! One of the tests of Tribute act quality is how well truly great singers such as Shirley Bassey are covered. Debbie more than does justice to the legendary singer from Tiger Bay and you will somewhat be taken aback by the sheer quality of this artist's voice. With Shirley's range and projection, you can bet that 'Goldfinger' won't be a half-hearted effort from this performer. Indeed, she belts out the great song with a fervour that tells you how much she admires the original. Perhaps that's why so many established theatre performers have dusted or otherwise performed musically with Debbie on stage. Ok, yo want us to name a few?. Alright then, let's start with Cliff Richard, Jimmy Tarbuck and Frankie Vaughan to name but a few. 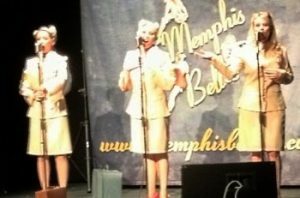 Naturally, yo can expect talent of this quality to have performed in some of the most impressive venues across Europe and that is most certainly true of Debbie. If you are looking for a top Shirley Bassey tribute act for your special event or corporate function then this is an easy choice. Book the remarkable Debbie Farrell today and hear the classic hits of the legendary Welsh singer as they are meant to be sung! Debbie brings the house down! Debbie is an excellent addition to our recent "00" Heaven James Bond themed evening at The Earl of Doncaster Hotel. Not only did her singing fill the dance floor, but she conversed and entertained the guests throughout the evening to a high and professional standard. 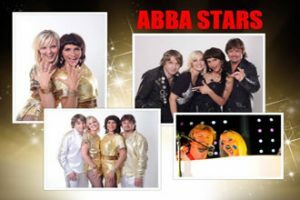 We would not hesitate to book Debbie again for other similar themed nights or cabaret evenings. Shirley Bassey was born in Wales in 1937. She is known for her magnificent voice and achieved international recognition not often experienced by a Black British performer. Bassey recorded several hits during her long career, including the terrific tribute of being asked to record three theme songs for the James Bond movie franchise. These were Diamonds Are Forever, Goldfinger, and Moonraker. Bassey struggled in early life, leaving school early and working in pubs and a factory. At age 16, she won a part in a musical revue and continued performing there until she became pregnant. Soon after giving birth to her daughter, Sharon, she once again began performing. Her powerful voice drew the attention of entertainment agent Mike Sullivan who began overseeing her career. When she was just 19 years old, Bassey released Burn My Candle, her first single. Her first hit was Banana Boat Song, released in 1957. Shirley's career was launched when she was selected to perform Goldfinger in 1964 for the James Bond movie of the same name. She went on to sing two more James Bond movie theme songs, Moonraker and Diamonds Are Forever. Along with her renditions of I Am What I Am and Big Spender, these successes made Bassey's career. Her solo albums Shirley Bassey 25th Anniversary Album and the Singles Albums were her two biggest selling solo albums. The 25th Anniversary album went platinum and topped out at #3 on the UK Charts. The Singles Album peaked at #2 and went gold. Shirley's album Something made it into the Top 10 in the United Kingdon and was her biggest selling album. Bassey released two singles that made it to #1 on the UK charts: Reach for the Stars/Climb Ev'ry Mountain, a double A-sided release and As I Love You. She also had a #1 on the UK Dance charts, History Repeating which hit the top spot in 1997. Bassey also enjoyed success in Australia and South Africa with Never, Never, Never which reached the top spot in both of those countries in 1973. In 2007, Bassey released The Living Tree to commemorate more than 50 years of appearances on the UK Singles Chart. Bassey had five singles land on the American charts: Goldfinger; Never, Never, Never; Something; and History Repeating. She also had a solo album in the Top 20 on the U.S. R&B charts, Live at Carnegie Hall. In 2000, this welsh legend was awarded Dame Commander of the Order of the British Empire and continues to be known for her incredible voice. 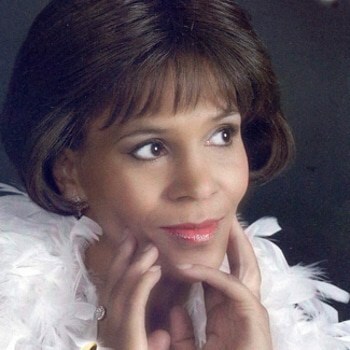 More Great Shirley Bassey Songs…..
Includes tribute artist with powerful PA, top quality backing tracks and full lighting.